The Schroff brand contains a broad portfolio of products from printed circuit board (PCB) accessories, such as card retainers, conduction cooled frames, front panels and handles to subracks, cases, backplanes, power supplies, cabinets and pre-assembled chassis for embedded computing systems. 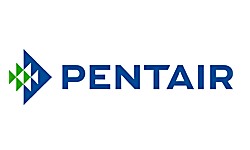 Pentair Ltd. delivers industry-leading products, services and solutions for its customers’ diverse needs in water and other fluids, thermal management and equipment protection. With 2013 revenues of $7.5 billion, Pentair employs more than 30,000 people worldwide.